Original KSF-2 Super Feeder serviceable for years to come, made in USA and sold by Super-Feed for over 23 years! All parts readily available and easy to replace if ever needed. 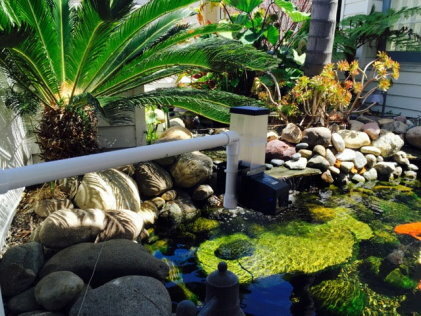 Custom mount your Koi Super Feeder with many modes of operation for indoor or outdoor applications. Trusted brand for years and years by thousands of customers. I have used the KSF-2 for about 8 years and it finally wore out, had to buy a second to replace it so our fish stay fed while we are away or just busy. The adjustable feed amount is great for fish that just keep growing bigger and bigger. Could not live without this product. Mark in B.C. Dependable and the fish love it. I have been using this feeder for about 6 years without any problems. It only would not feed if I forgot to fill it, and with the added extension, that is only about once every ten days. Finally, it did empty the entire feeder in 24 hours so I am replacing it with the exact same feeder, but new. I think the timer went kaput, as in testing the feeder, I could not get it to fail. Thus I have a spare one, if and when I should every have a problem. 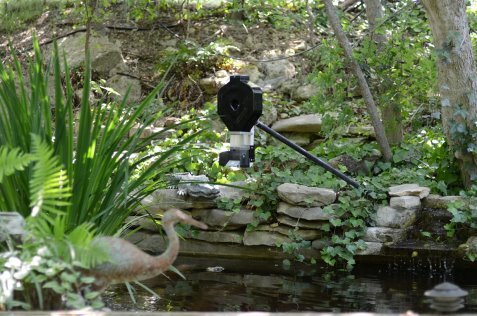 I love the adjustability of the feeder and the fish love its dependability.